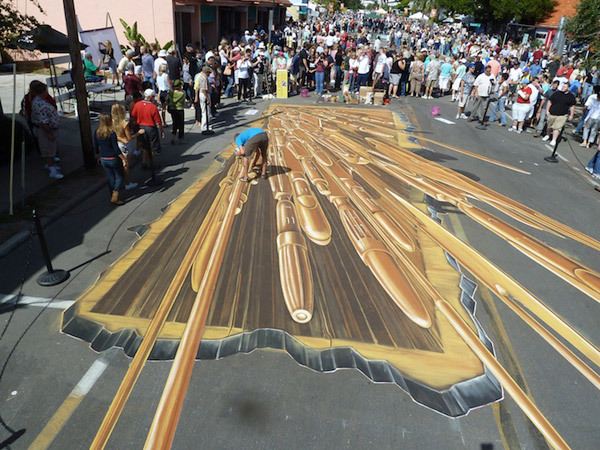 3D street painting is one of the few environmental artwork approaches that gives off an interesting appeal and refreshes the mundane street scenics at the same time. 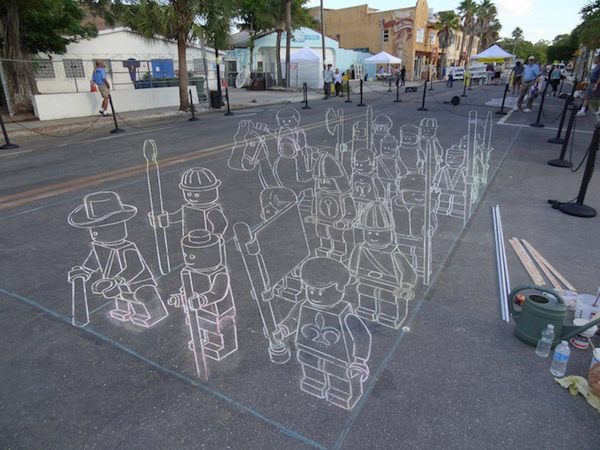 Especially with good material and content, we can create engaging visuals. 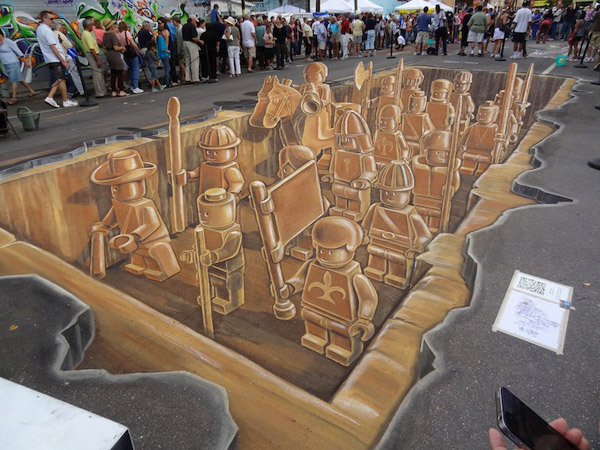 Check this awesome 3D painting of a LEGO Terracotta Army by Planet Streetpainting, a collective of street artists which are based in Netherlands. 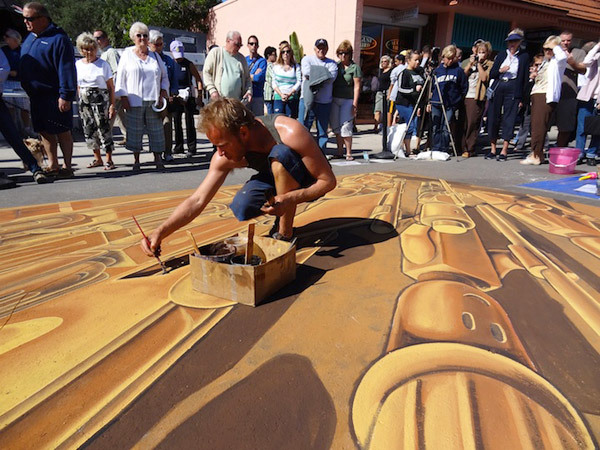 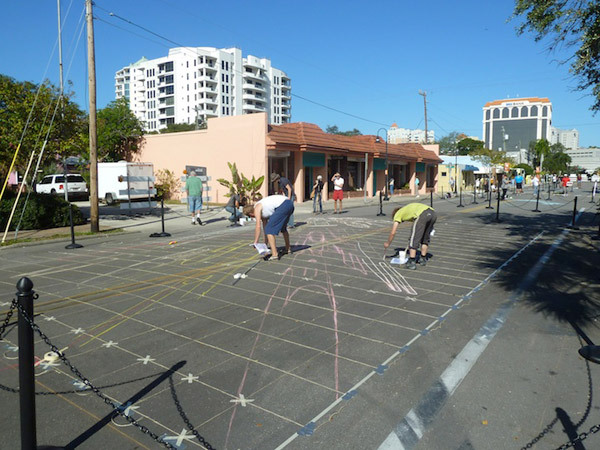 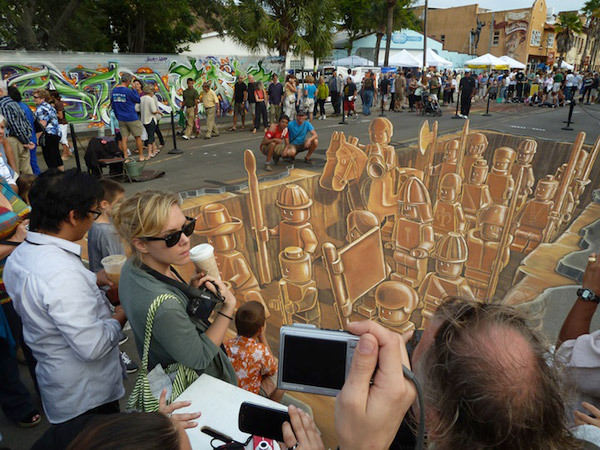 This amazing artwork is done up in the Sarasota Chalk Festival in Florida for the Pavement Art Through the Ages. 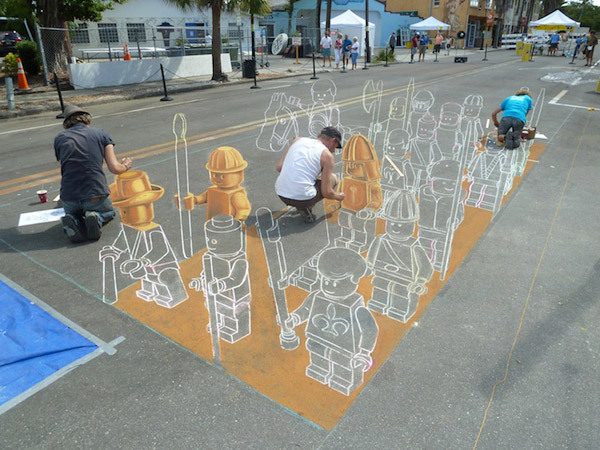 Neat stuffs.